Never mind the driving range last week, now its down to the track for some real driving! 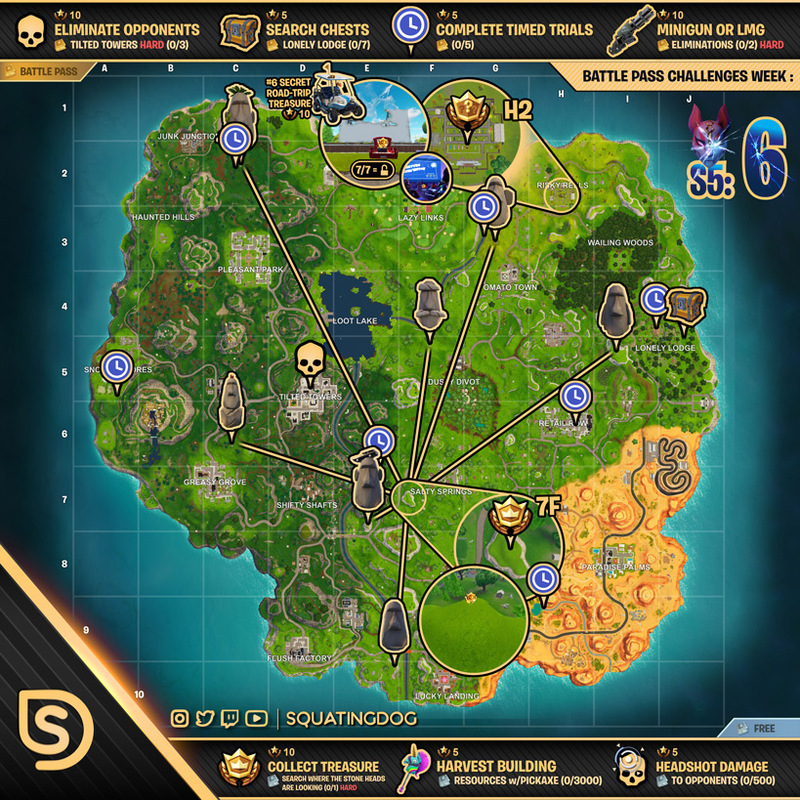 Check out the all-inclusive season 5 week 6 fortnite battle pass challenges cheat sheet below. Harvest Building – Super easy, get them mats! Complete Timed Trials -Could be a tough one! you must be the driver, good luck in 50 v 50 as people seem to get lots of enjoyment blowing you up while you try and complete it! Collect Treasure – Navigate to square 7F! Minigun / LMG eliminations – Definitely go the route of the LMG, up close this thing is a beast. Headshot Damage – Shouldn’t be too hard, if you really can’t aim then use the down em and finish em with a head shot trick!